This abstract metal horse perfectly captures the sheer strength and power of one of nature's most handsome creatures. Shown with its front legs bent, face forwards and mane flailing behind, this abstract metal horse wall sculpture captures the animal in full sprint, bringing a fantastic feeling of movement to rooms. 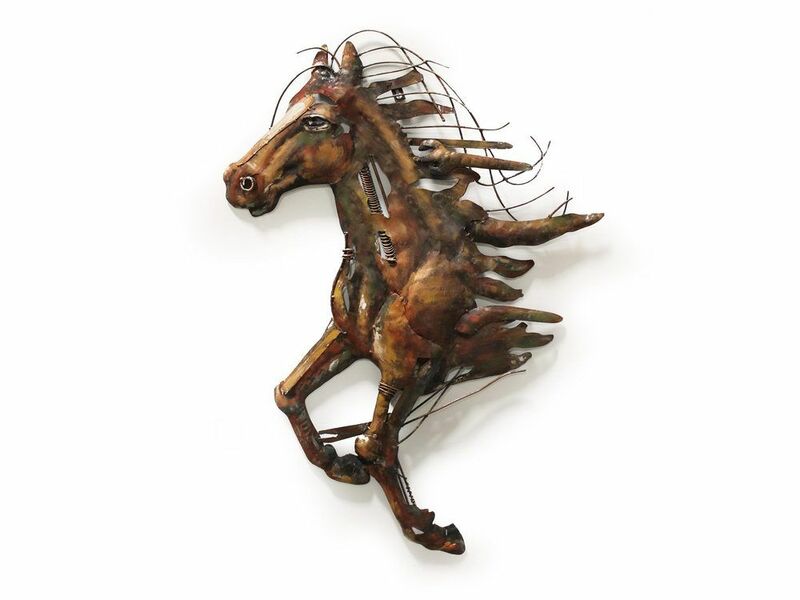 Featuring exposed coils and springs denoting the muscular power, this metal horse wall hanging is a unique and eye-catching statement item.